Congratulations to István Hornyák for winning the first Hungarian Juggling Championships Fight Night last weekend in Budapest. In the six combat tournaments in Hungary so far, István has ended up in either first or second place, winning at the Hungarian Juggling Convention in 2012, 2013 and 2014, then losing in the final in 2015 (to Luke Burrage) and 2016 (to András Timár). On Saturday he beat László Gyimóthi 5-3 in the final after winning his first two matches without dropping a single point. Áron Huszka beat Mees Jager, who was invited to the event to judge other competitions, in the third place match. 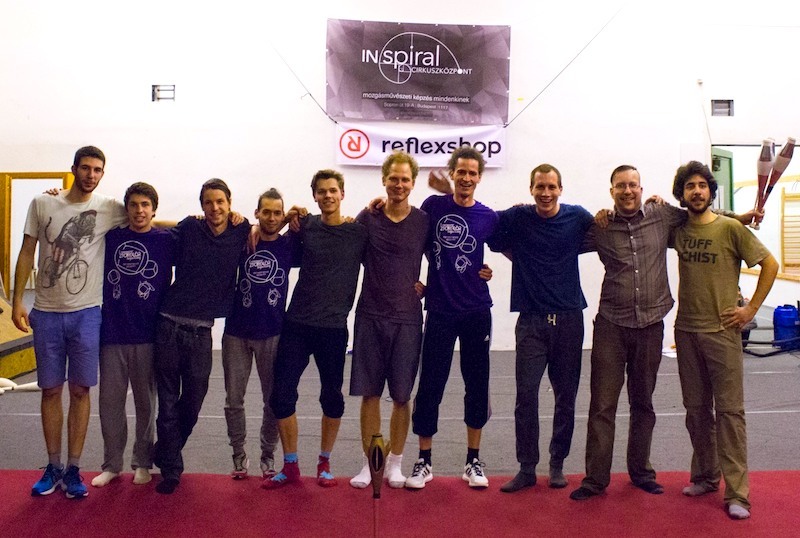 11 jugglers took part in the qualifications, though one person dropped out due to injury. István earned himself 250 rankings points for his win, and with his 2nd place points from the Hungarian Juggling Convention last year moves up to 29th in the 52 Week Current Rankings. The next scheduled Fight Night is the first Major 750 tournament of 2017, taking place at the British Juggling Convention in Nottingham.